Chesapeake Bay Dead Zones Are Fading, But Proposed EPA Cuts Threaten Success After years of failed attempts at cleaning up the dead zones, the Chesapeake Bay, once a national disgrace, is teeming with wildlife again. But success is fragile, and it might be even more so now. Billy Crook's commercial crabbing boat, Pilot's Bride. He says it's looking like it's going to be a good year for crabbing on the Chesapeake Bay. By 2009, when the Chesapeake Bay Foundation sued the Environmental Protection Agency in an attempt to get the EPA to do more to clean up the bay, the Chesapeake's dead zone was so big it often covered a cubic mile in the summer. 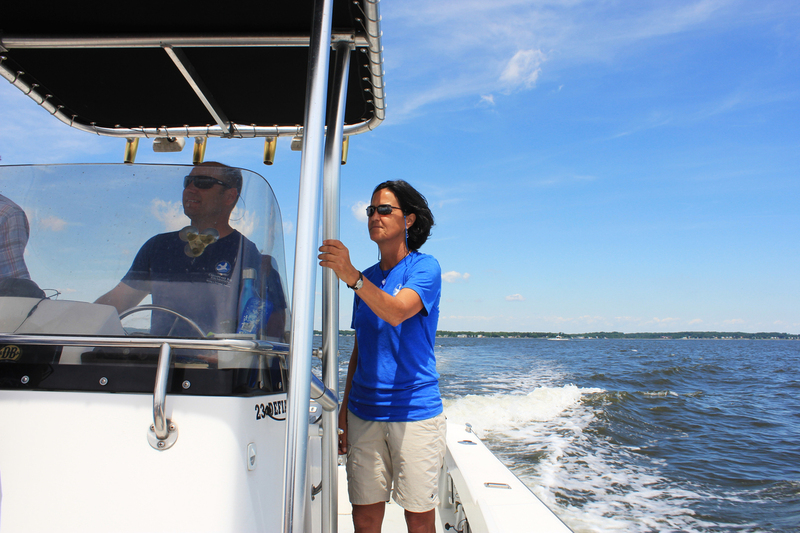 Then, last summer, scientists recorded no dead zone in the Chesapeake Bay. And wildlife was returning, too. The EPA's new plan seemed to be working. "When I first heard that spawning sturgeon were back in the bay, my reaction was, 'Yes! We can get this done,'" says Will Baker, the nonprofit Chesapeake Bay Foundation's president. "It's really exciting. You give nature half a chance and she will produce every single time." Scientists and advocates for the bay say that success is fragile. And it may be even more so now. The Trump administration's budget proposal calls for eliminating the program's $73 million in funding. "I think if we saw the federal government withdraw, you would see the Chesapeake Bay revert to a national disgrace right as it's becoming a great national source of pride," Baker says. "Things are going in the right direction, but nature can turn on a dime and I don't think it's a scare tactic to say within the next eight years, we could see the last 35 years of effort go down the tubes and start to change direction." And that could have implications not only for the future of the bay cleanup, but for any other states hoping to clean up some of the country's other most polluted waters — from Lake Erie to the Gulf of Mexico. Eric Young, Matthew Gaskins, and Steve Hinks went out crabbing for fun, and caught five blue crabs on their first run of the day. 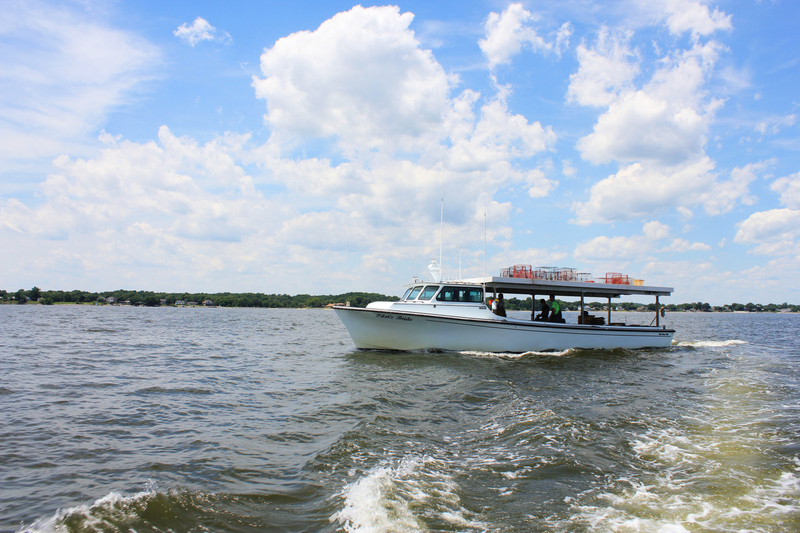 Gaskins says so far it's shaping up to be a good year for crabbing on the Chesapeake. Locals like 22-year-old Matt Gaskins say the difference in the bay's health is noticeable. He's on a boat with two of his friends. 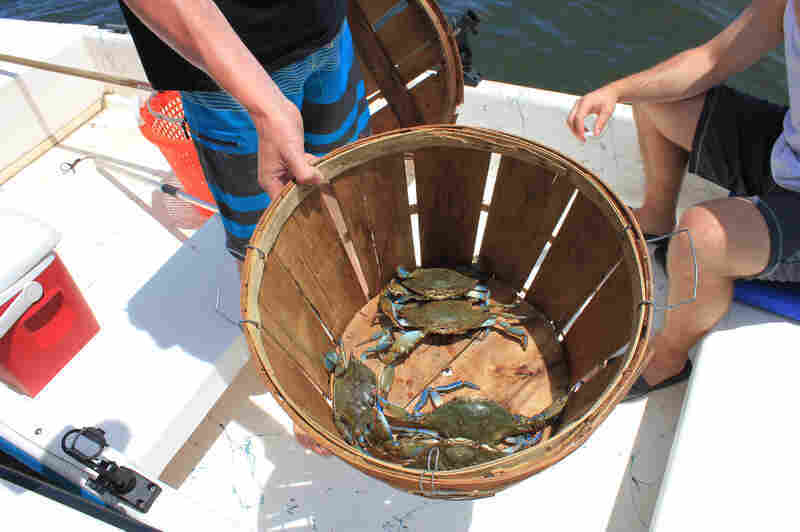 A handful of blue crabs click in a bucket resting in the middle of his small boat. Gaskins says he can tell how the bay's doing by how many crabs he's catching. He was out on the South River the day before. "Everyone pretty much around the whole river has been doing really well," he says. "The rockfish are doing really well this year, and also the crabs are doing really well." Scientists from the Chesapeake Bay Foundation say that's proof the cleanup efforts are making a difference. "The trend is for a smaller volume of the dead zone over time, which is really encouraging. For the last two years, they never measured water that had zero oxygen, which is the first time that it had ever happened in the history of collecting data," says Beth McGee, a scientist with the foundation. But without sufficient funding or any real consequences for states that didn't meet benchmarks, things didn't really improve. The Obama administration needed to change that. To do it, the administration came up with a novel interpretation of the Clean Water Act of 1972, which gives the federal government the power to require that states write a "pollution diet" for any body of water the feds declare polluted. States have to calculate how much of each pollutant a body of water can take on, and then figure out how to hit those numbers. But actually making the reductions had always been voluntary. Only one in five of these pollution diets had actually been implemented, and the Chesapeake Bay Foundation wanted to ensure states followed through. The Obama administration would use its powers under the Clean Water Act to compel states to take action — by withholding funding from states that didn't follow through on implementing their cleanup plans. Baker says that's part of the challenge — cleaning up the Chesapeake requires cooperation not just from the places that have the bay in their backyards — but also from states in the whole watershed whose rivers and streams feed into the bay. "The critical role of the EPA has been to be the glue that holds the six states and the District of Columbia together — working in concert to save the Chesapeake Bay system," Baker says. How do you convince states without that tangible tie to make sacrifices for a bay they don't even border? "The Chesapeake Bay is a system of six states, 64,000 square miles," Baker says. "And when you work in Pennsylvania for clean water in the Chesapeake Bay, you're really working for clean water in Pennsylvania." The EPA's plan was controversial from the start. The American Farm Bureau Federation sued over it. As attorney general of Oklahoma, Scott Pruitt signed an amicus brief supporting the Farm Bureau's position. He's now running the EPA — the agency that is tasked with administering it. The Supreme Court declined to take up the case — letting a lower court's ruling stand that upheld the program. Chip Bowling's farm sits on banks of the Wicomico River in southern Maryland. The Wicomico flows into the Potomac River, which flows into the Chesapeake Bay. He farms 1,600 acres of corn, soybeans and wheat on land that's been in his family for seven generations. Chip Bowling is a Maryland farmer and chairman of the National Corn Growers Association. 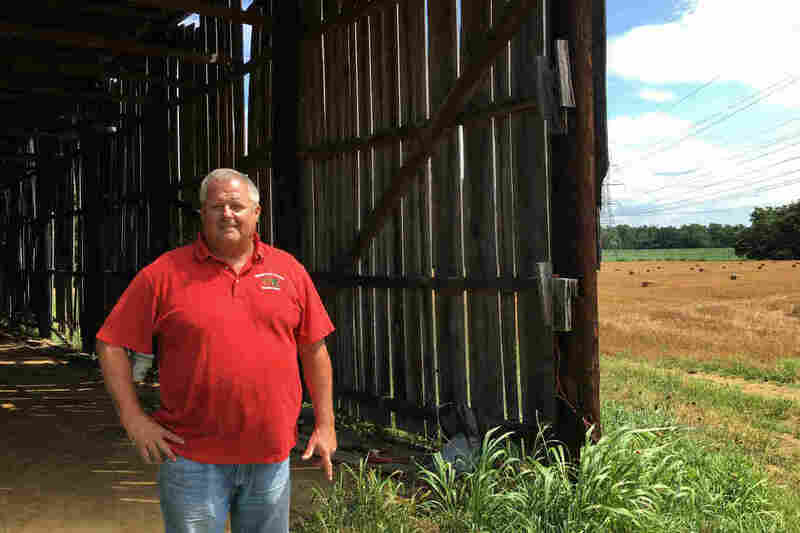 He farms on land that's been in his family for seven generations. "When we got our work done, we literally would jump out of our work clothes and put a pair of shorts on and T-shirt, and run down here, and either swim, fish, get on the boat," he says. He's been doing that more than 50 years. "If you walked at the end of this pier when I was a kid, you'd see aquatic grass growing," Bowling says. "You actually had a hard time walking through it because the grass was so lush underwater." That lush grass provided a habitat for crabs and fish. Now, it's beginning to return. 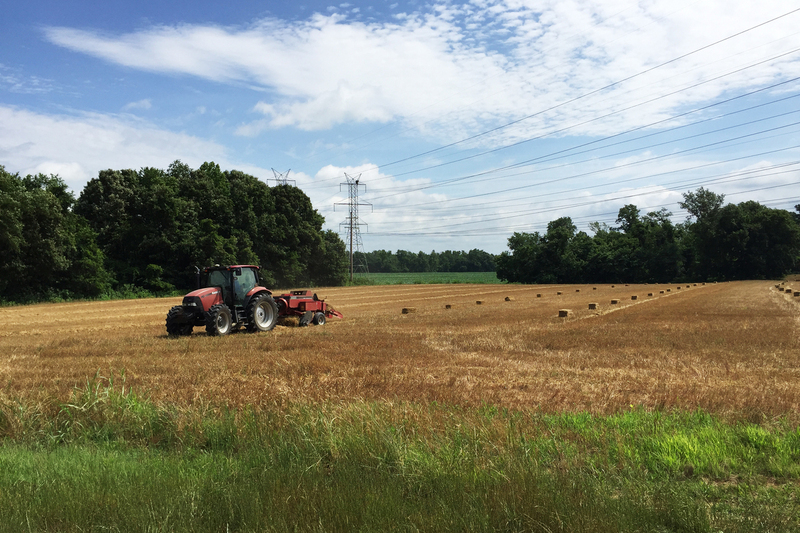 Bowling's farm in Southern Maryland is on the banks of the Wicomico River, which eventually flows in to the Chesapeake Bay. The federal government provided money to help, like funds for planting buffer strips between cropland and waterways that feed into the bay. States wrote their own plans to meet federal benchmarks and the federal government could withhold funding from states that didn't comply. "Nobody likes rules," he says. "Nobody really likes regulations. But you also know that you have to have both." Bowling, who once joined a lawsuit to rule the program unconstitutional, is fighting for the program's survival. "It was a struggle to get there," he says. "I was critical in the beginning. What we do know now is that working together, we have figured out a way — with funding — to get those programs in place and to get the bay on track." 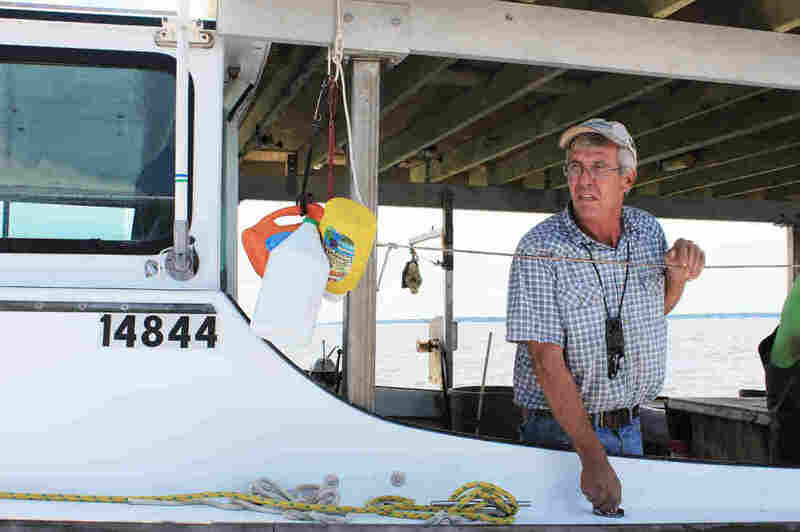 Billy Crook has crabbing been on the Chesapeake Bay for 41 years. He says a healthy bay can have a positive impact on his family's finances. "I got a bunch of little kids. I had a good year last year, so they got a trip to Disney World," he says. But that doesn't mean he gives the EPA credit. "The EPA — they do some good, but mostly, they do a lot of talk," he says, leaning over the side of his boat. "They always talk about putting money in the bay. We never see the physical evidence of them doing much." Bowling may support the Chesapeake Bay's cleanup program, but that doesn't mean he's clamoring for a similar program elsewhere — such as in the Mississippi River watershed. Runoff into the rivers and streams there feed the Gulf of Mexico's dead zone — predicted this year to cover an area the size of New Jersey. 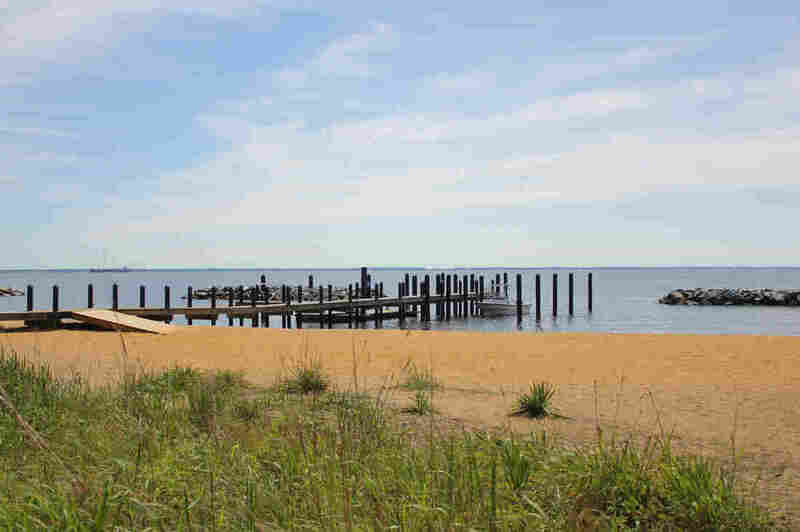 "I can guarantee you, they're not going to ask for one like the Chesapeake Bay," Bowling says. "Hopefully we won't have a mandate nationwide. In my opinion, knowing what we're doing, I think that voluntary is a great way to start. The mandate made us do it, but I can guarantee you we would still change the way we farm." "It's a huge land mass that is covered and it gets really complicated and it makes for a bigger effort that is pushed down from the federal government," Lurkins says. "(Illinois farmers) don't have the ability to help shape or start to engage in a plan that covers 31 states or even half of that. It's just something that's brought down on top of them." The beach at the Chesapeake Bay Foundation headquarters in Annapolis, Md. "You give nature half a chance and she will produce every single time," says Will Baker, the nonprofit's president. "We're not talking about cleaning up the waters of the world. We're talking about one iconic national treasure. If others can use the protocols that have been put in place here so successfully, go for it," Baker says. Sen. Ben Cardin, a Maryland Democrat who's been advocating for the Chesapeake cleanup for decades, is more confident the plan can be employed in other places. Even so, he acknowledges adopting the plan elsewhere won't likely happen in the near future. "I think this model will expand and be used in other parts of the country," he told NPR. "There's no question that if we had a different administration that put a higher priority on the environment, that it would be more aggressive in using this type of model in other places in the country." But Cardin says he's optimistic about the Chesapeake cleanup's future. White House budgets are just proposals — and almost every federal program has an advocate somewhere in Congress. "I've talked to my Democratic and Republican colleagues and they're very supportive of the federal role in the Chesapeake Bay program," he says. "It's in everyone's interest to preserve this unique body of water. It's not of one state or one region, but a national treasure." Bowling is also confident the funding won't disappear. "We think that when the new administration figures out what they're going to cut and how they're going to cut it, that there's still going to be funding left for programs like environmental cleanup," Bowing says. "I can guarantee you we're doing something in D.C. today to make sure that we pass on to the administration and Administrator Pruitt what we're doing works and we need funding to get there. I don't think they're going to allow something that's come so far to go away." But now there's an even more basic worry — whether the model plan itself will continue.